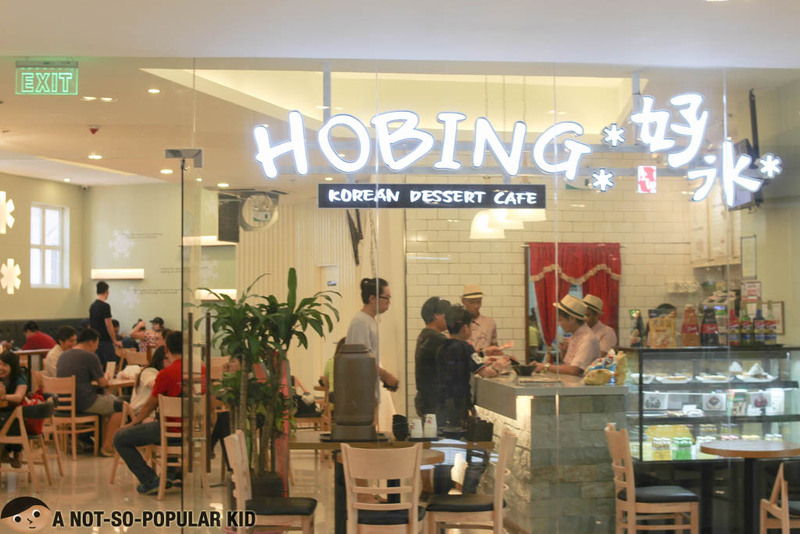 Hobing Korean Dessert Cafe is slowly starting to turn heads with its collection of tantalizing Bingu, or what we may call as Korean Halo-Halo. We were just strolling around Lucky Chinatown Mall as we were having our "Binondo Food Trip", and we couldn't help but be curious about this cafe. Our curiosity caused us to stop for a brief second and take a peek inside. 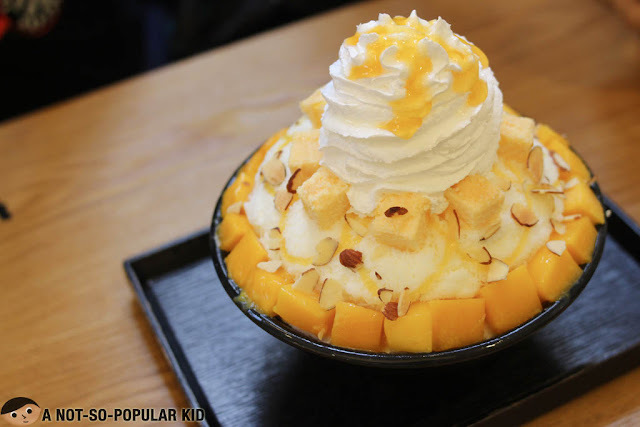 That was when we saw this mouthwatering pile of shaved ice with some fruits on it. We looked at each other afterwards, and we knew what was in our minds. Needless to say, we ended up helping ourselves with some refreshing desserts! 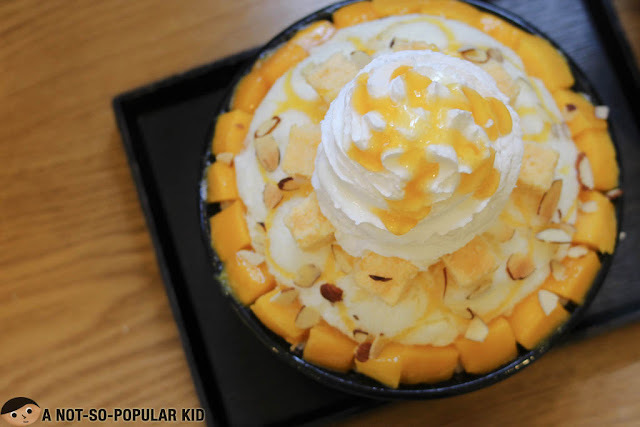 Alright, we shall now take look at the three (3) desserts we tried during our food trip! 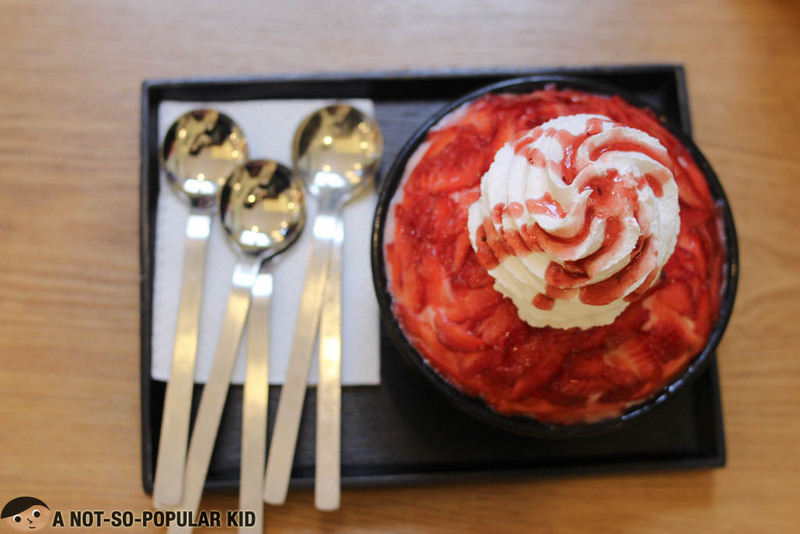 Let's begin with the Strawberry Bingsu! The Strawberry Bingus was surely an eye-candy! Just looking at it made our mouths water. 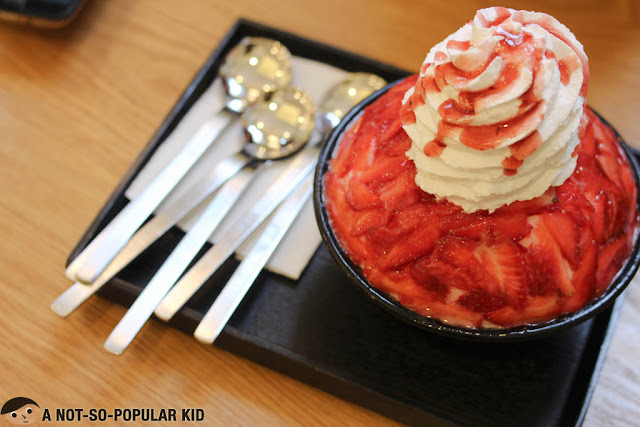 It was also generously topped with sliced strawberries making it really a nice treat! Plus, just between the shaved ice, you will find drizzles of strawberry syrup; hence, you may want to dig all the way down. 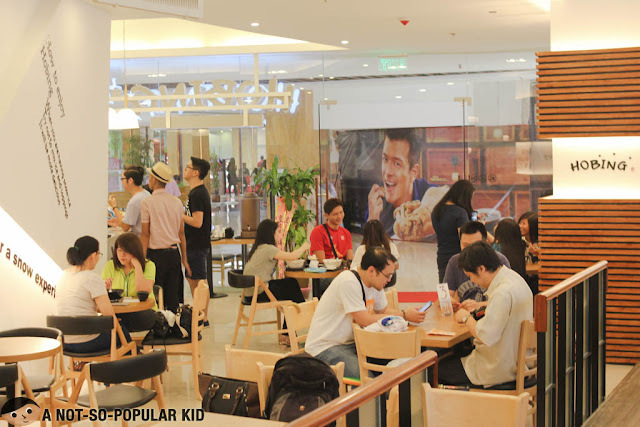 Or you may do it Pinoy style by mixing things up. 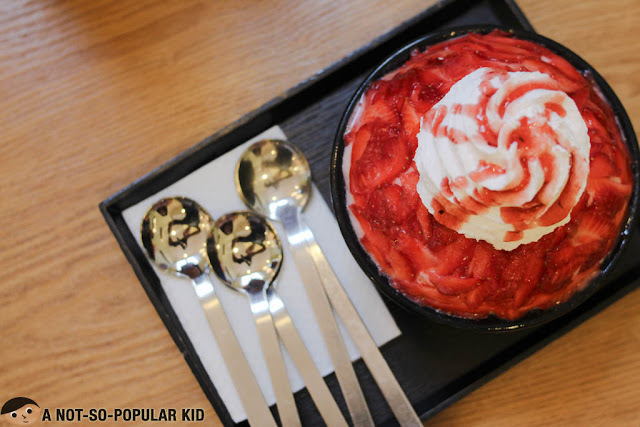 Now this goes for all the Bingu we tried -- the shaved ice were tremendously fine as they gracefully melt as soon as it lands on your tongue. I'm not kidding or exaggerating. Each scoop is velvety and gives you a ticklish feeling as it beautifully melts in the mouth. This Mango Cheese Bingu was surely a hit among the group especially with the "cheesecake cubes" laying on top of the dreamy ice. These cubes were the ones that added character to the dessert, so make sure you share them with your friends (or not!). Had the mangoes been sweeter, it could have been one perfect dessert! 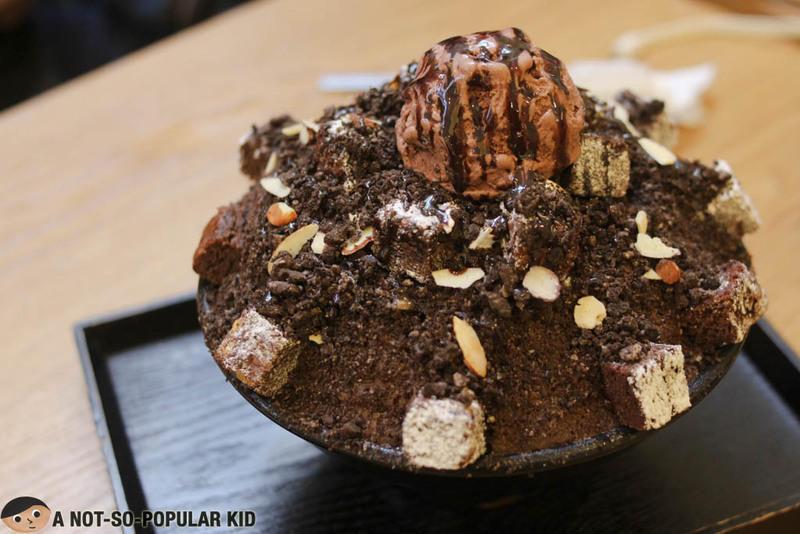 Although a bit pricier, this Chocolate Brownie Bingsu were a great treat for chocolate lovers, especially those who love the bitter kind. There was also richness in the chocolate coming from the crushed "oreo" and the ice cream on top. However, do note that originally this dessert comes with whipped cream, we just had it replaced with ice cream. You may want to do the same. Alright, so there you go! 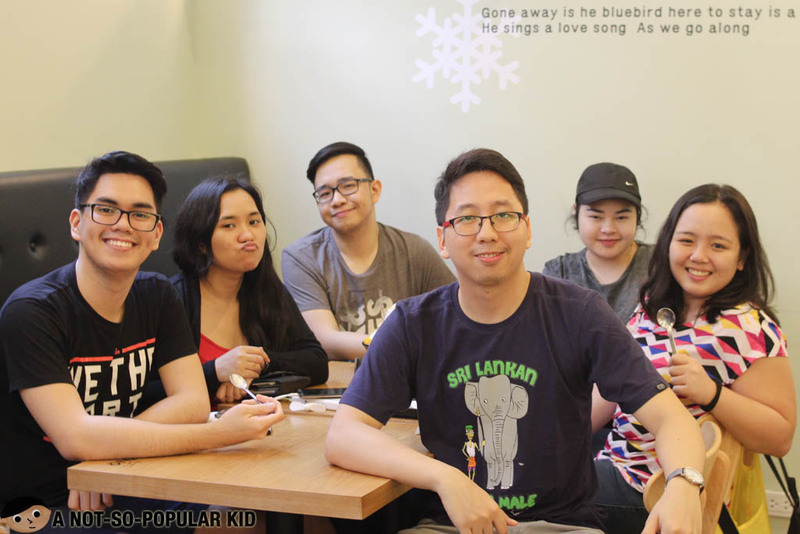 Here's a photo of us enjoying some great bowls of Bingsu while playing Werewolf in Telegram. It's surely an awesome day well spent with these bunch of peepz! Hobing really did surprise us with the incredibly melt-in-your mouth shaved ice. It's possibly the finest I had ever! Each spoonful was just sensational, you just want to have more it! Well, I know the price is a bit pricey, but if you guys are not "LC", you can share a bowl among your family or friends. Also, the place is great for chilling, so this made our overall experience a great one! It's a must-try in my book!